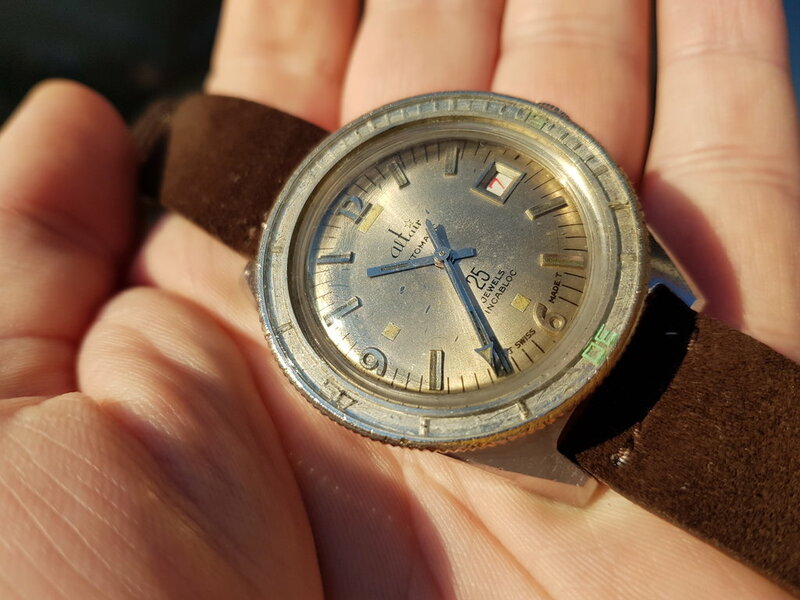 Beautiful Altair Diver with bakelite bezel for sale! 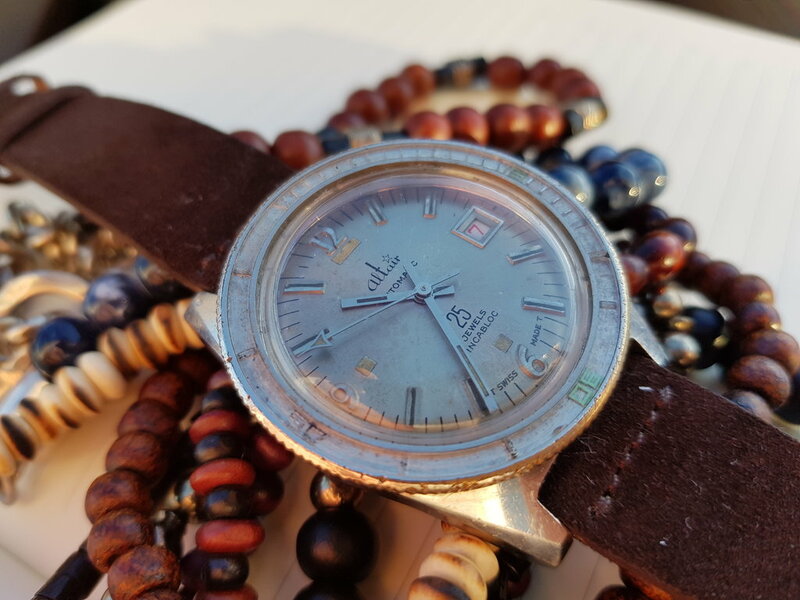 Stainless steel case, diameter over the bezel 40mm. 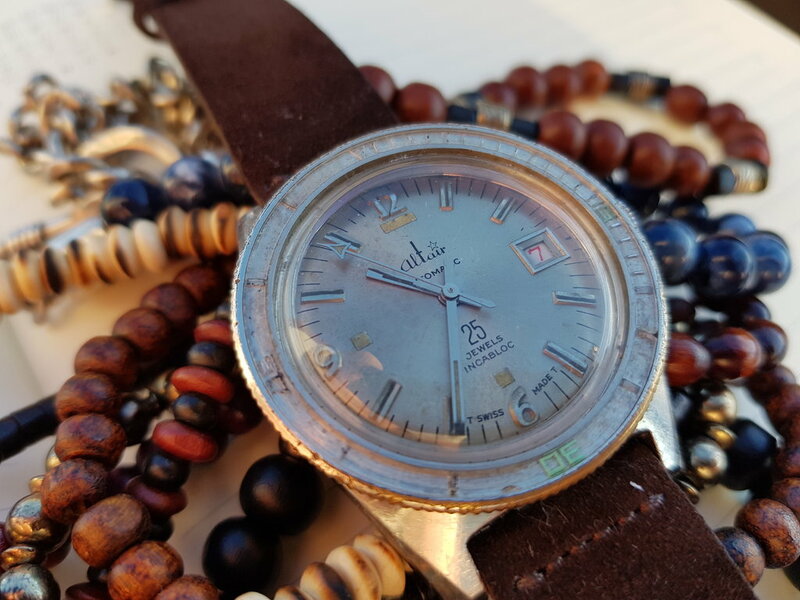 Allover in good condition with some patina on the dial and bezel. 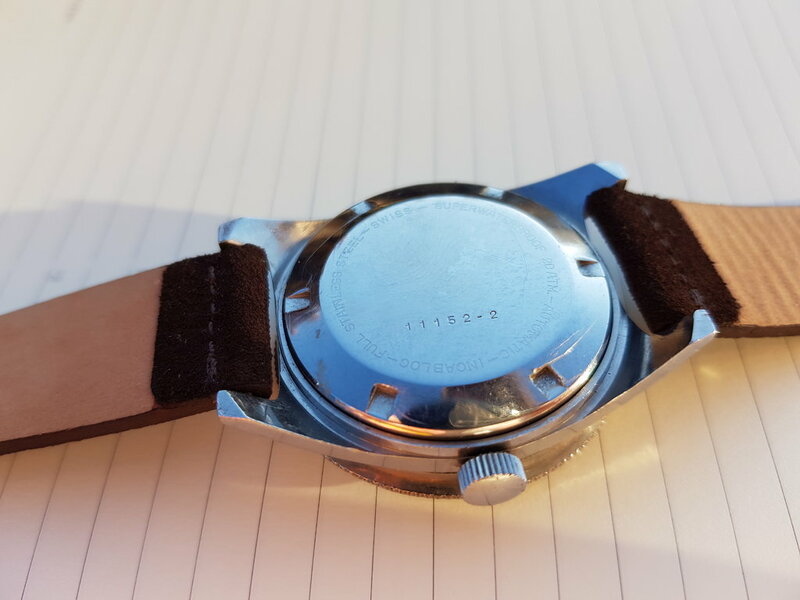 Applied indices with lume plots on the dial. 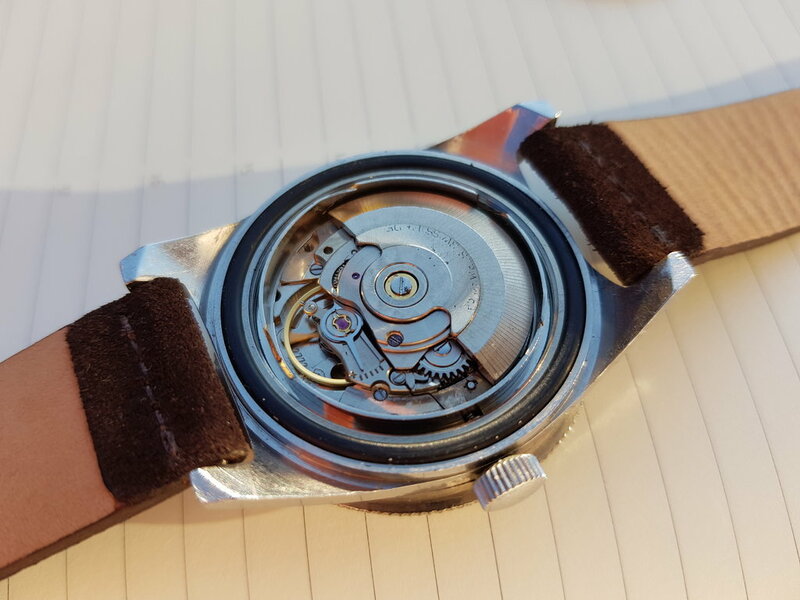 Automatic ETA 2772 movement running strong, looking very clean.